Want to put a ring on it? We’ve done all the hard work for you to help make sure your proposal is smooth, brag-worthy and ultimately successful. But really, how could they say no? You’re adorable. 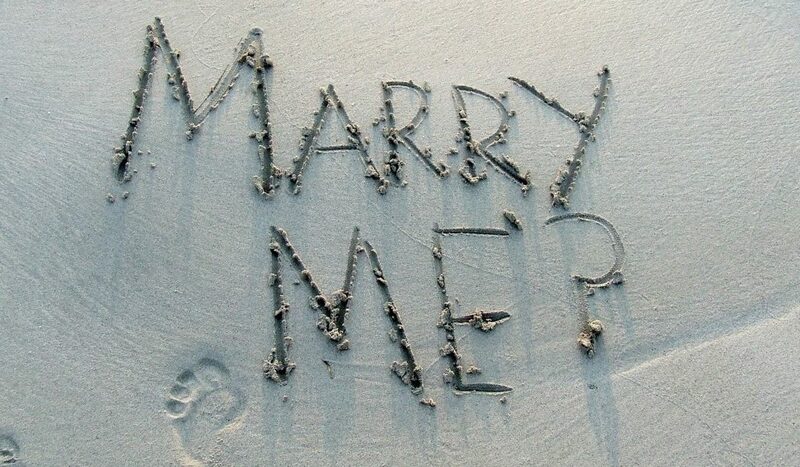 Read on for some romantic proposal ideas that will have you down on bended knee in no time! We have some amazing wineries just a short drive from Bangalay. Start your sneaky mission at Crooked River Winery in Gerringong, visit the cellar door and look out over the rolling hills, basking in the knowledge of your sweet little surprise planned. Next stop, Mountain Ridge Winery, nestled on the foothills of Coolangatta Mountain. Have a coffee and a bite to eat (if the nerves haven’t taken over your stomach!) and sample Mountain Ridge’s delicious range of wines while chatting to their friendly staff. Enjoy a delicious lunch at Coolangatta Estate paired with one of their award winning wines and afterwards take a relaxed walk through the historic grounds of the Estate with your love. Finally make your way further upstream to Two Figs Winery, proudly sitting atop a small mountain overlooking the stunning Shoalhaven River and across to the farmlands of Terara. Take your time sampling wines at the cellar door here and relax on a picnic blanket while looking out over the hills and the glistening river below. Here’s your chance – at sunset fill your glasses and when the mood strikes (or when you’ve gathered enough liquid courage) make your move and ask that question! Afterwards return to Bangalay Dining for a relaxed dinner celebrating your new relationship status. Gather your loved one, pick up one of our delicious bespoke picnic hampers and head off on a private, romantic adventure. You might want to scale up to Drawing Room Rocks, where you can propose perched up high overlooking the Shoalhaven, or take a walk along Seven Mile Beach and over to Comerong Island for a secluded and rugged location. The Botanic Gardens at Shoalhaven Heads is a magical spot for a romantic picnic, or you might want to venture out to Brogers Creek and drop to bended knee beside a picturesque mountain stream. Rug up and venture up to Cambewarra Mountain lookout for an eagle eye view of the region and grab a tea or coffee from the tearooms. Whatever you have in mind, we can help you find the perfect location to propose in your own unique way, creating a special and unforgettable moment you’ll look back on fondly for years to come. Enjoy first class service at our restaurant Bangalay Dining. After a delicious meal prepared by our talented Chef, pop the question and celebrate with champagne and start planning your dream wedding while enjoying a delicious dessert. Added incentive: any couple to get engaged at Bangalay will receive a discount if you choose to hold your wedding at Bangalay! Nothing spells romance like a big, unexpected display of love by filling your villa with flowers. If you would like to keep your proposal intimate and just between the two of you, we can arrange for your room to be filled with flowers, chocolates and candles all ready for the ultimate surprise when you both return to your villa – who said romance was dead? Take a leisurely walk along the beach with your loved one, collecting shells and taking in the scenery while the aeroplane does all the hard work for you… all that’s left is to look up, claim your aero-handiwork and ask that age old question! Perfect! We can organise a photographer to capture the special moment you propose, giving you a precious keepsake of your romantic gesture. While we’re talking aeroplanes, hire a sea plane and get a birds eye view of the South Coast as you prepare to declare your love! After feeling the adrenaline pumping as you fly up high in the sky, take your love to new heights by popping the question as you hover over the beach below. Afterwards return to Bangalay and celebrate your good news with a romantic in-room dining service and enjoy thinking back over your epic aero-proposal. We hope these proposal ideas have given you some inspiration, however if you’re still not sure how to wow your love please get in touch. We are only too happy to help you create the ultimate wedding proposal at Bangalay.